Many of you may have heard of Ninh Binh in passing, maybe it came up a few times in your searches for places to visit in Vietnam—but this place is worthy of your full attention. Do you enjoy peace and tranquility afforded by lush greenery? Ninh Binh has this and more. Read on to discover! 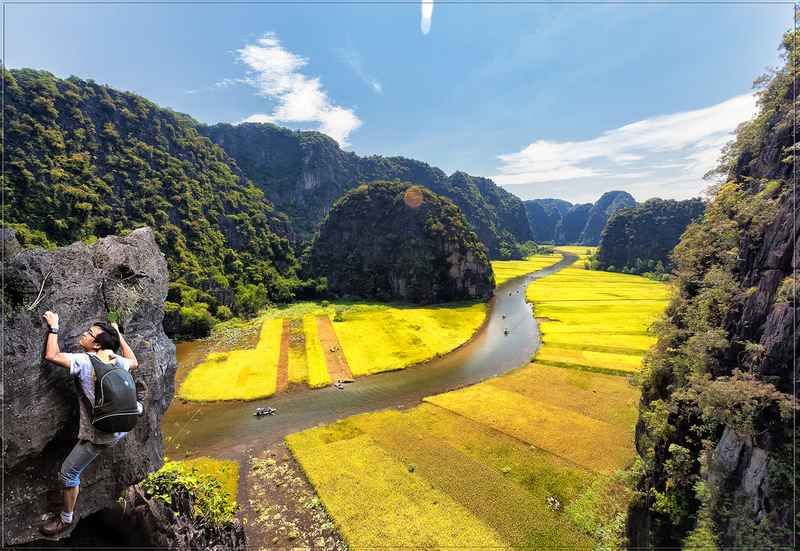 Famed for its beautiful landscapes and incredible scenery, Ninh Binh is one of the top destinations you should add to your list if you love getting out into nature. From ancient temples to hidden caves and verdant rice paddies, this province in northern Vietnam has a bit of everything. But that’s not even the best part! Despite its natural beauty and the impressive countryside, Ninh Binh gets overlooked by many travelers. 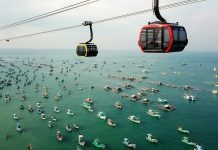 That means you, as a savvy visitor to Vietnam, have the chance to explore one of the country’s top destinations without having to face crowds you run into at sites like Halong Bay. Sound good? Then let’s learn more about Ninh Binh! While it’s easily one of Vietnam’s most beautiful areas, Ninh Binh is also rich in history with sites of famous battles and temples commemorating ancient kings. Hoa Lu, the ancient capital of Vietnam during the Dinh and Le Dynasties of the first century, is a significant historical site as this is where King Dinh Tien Hoang united twelve warring tribes to form what was later to become Vietnam. During the French occupation, this area’s location by the river offered control of both military and trade ships going to Hanoi. That made it a strategic spot important to the French and later the resistance forces. Ninh Binh can be great to visit at any time of year. From November to April you can enjoy rather cool, dry weather. During this time, you’ll need to bring a jacket and long pants, especially for the evenings and nights which can get cold. From May to October, the weather is hotter, more humid and the chance of getting caught in the rain is very high. While that might not sound like fun, the rainy season is when the area’s rice fields are a lush, vibrant green. This beautiful sight more than makes up for any downpours you might experience. In September, Ninh Binh has higher chances of getting hit by a typhoon so check weather forecasts carefully if you happen to be traveling there at this time. 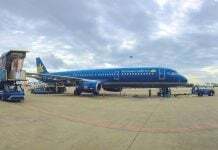 When coming from abroad or south Vietnam, fly into Cat Bi or Hanoi airport and take a bus or train from there. You can easily book your tickets online in advance and then simply get a taxi or motorbike to the train station or bus terminal. When coming from Hanoi, you have several trains a day to pick from. The ride takes about two hours and you arrive right in the city center. From there it’s easy to get to your hotel or head out on your first excursion. If you’re traveling north from Hue, there is also a train which stops in Ninh Binh. To save time during your trip, try getting the night train. That way you can skip a night at the hotel and get to your destination (more or less) rested. 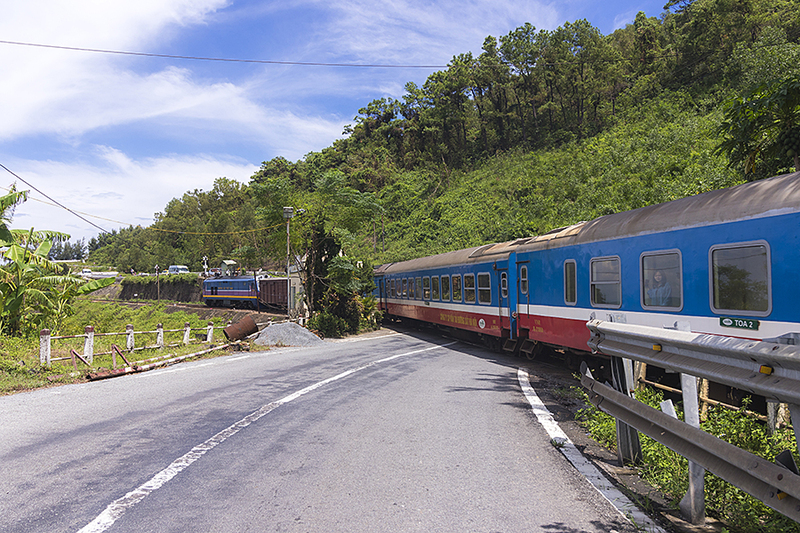 To check availabilities for trains, visit the Vietnam Railways System’s website. It’s in English and provides the most reliable, up-to-date information. Traveling by coach is another great option. Catch a bus from Hanoi’s southern bus terminal Giap Bat and you’ll reach Ninh Binh in about two hours. Busses come in different categories, from simple and inexpensive to luxurious and comfortable. Especially if you’re tall, it could be worth it to spend an extra dollar or two for the fancier coach since otherwise, the ride could become quite cramped and uncomfortable. You can also catch a bus coming straight from Halong Bay which is great as it saves you the detour of going to Hanoi first. Before getting your ticket, make sure you know exactly where the bus will let you off. There are several stops in and around Ninh Binh and you don’t want to get stranded outside the city and have to catch a motorbike into town when you could have just taken a bus directly to your final destination. If you value the independence and comfort of traveling in your own car, you can get a private driver to take you to Ninh Binh. Travel agents or your hotel in Hanoi can help you book a reliable driver for the trip. This is a great option if you want to stop for a break along the way, take some photos or try one of the many roadside eateries you’ll pass. Ninh Binh is the type of place where you need your own transportation. Sites are so far apart; some type of vehicle is necessary to get you around. 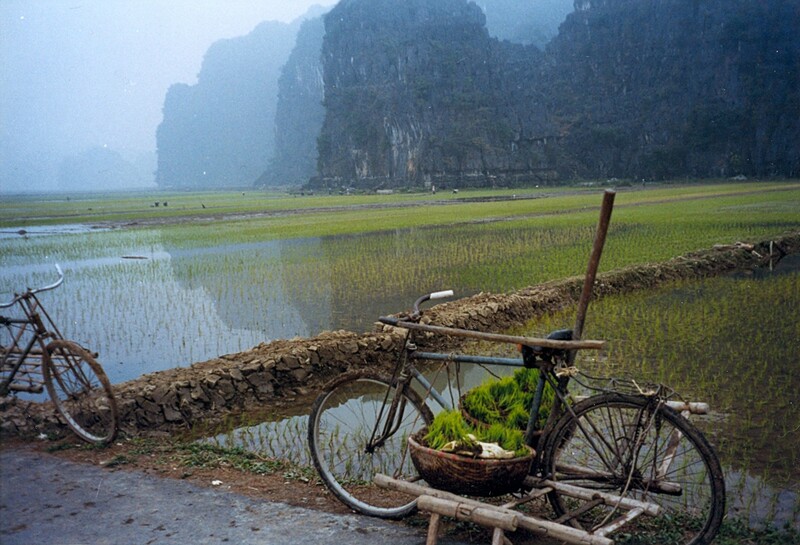 Once you’re in Ninh Binh, you can ask your hotel or hostel for help renting a bicycle. Most places will have one you can borrow, or they can recommend a place to get one. Going around town on a bicycle is great fun and gives you the chance to get out into the countryside to explore the surrounding villages and get to beautiful temples too far away to walk to. Since some amazing spots are quite far though, be ready to do at least 30 to 40 kilometers per day! A motorbike is probably the best way to get around Ninh Binh. Again, many hotels and hostels rent them out or can point you to a good place to get one. Rentals fees are around VND 100,000 (4 USD) per day plus gas. Getting a motorbike will make it easy for you to get to all those amazing places you read about without tiring yourself out completely before even reaching your destination. When driving, you must wear a helmet. While roads in this area are not as busy as in Hanoi or Ho Chi Minh City, it’s still imperative for your security and it’s the law. Also, many other drivers are very flexible when it comes to sticking to traffic rules, so be ready for some surprising maneuvers and unfamiliar driving styles… another good reason to wear a helmet. Another safety note: try to avoid driving on unlit streets at night. Some rural areas have few or no streetlamps. The lack of light combined with bumpy, unfamiliar roads can make for a dangerous combination. Getting around Ninh Binh by car is another option. Maybe the driver that took you down from Hanoi can stay with you while you’re in Ninh Binh? If not, you can always ask your hotel or a local travel agent to help you book a driver to take you around for a few days. This is a good option if you’re not comfortable riding a motorbike or are traveling with small kids. Your driver might also know some cool off-the-beaten-track spots, so be sure to ask him about that! There’s nothing like tips from a local expert. A great place to look for hotels or hostels is actually not in Ninh Binh city itself but in Tam Coc, a smaller town nearby. It’s closer to many of the top sights of the area such as temples and famous rice fields and offers a nice experience of a small countryside town. When planning your trip, allow for at least two full days in Ninh Binh. With so much to see and do here, it would be a shame to try to hurry through it all in just a day. In and around Ninh Binh and Tam Coc, you will find countless amazing homestay and hostel options. Most accommodation here is rather simple but wonderfully close to nature, but there are some fancier resorts as well. Here are a few examples so you get an idea. Set right on the shores of Tam Coc lake, this homestay offers great views of the water and an extensive garden to relax in after a long day of exploring. It’s also close to the town center so you’re only a short walk from restaurants and shops. Run by a local family, this is an excellent place to stay if you want to be close to Ninh Binh’s main attractions. Just about a ten-minute walk from the city center, Tam Coc Horizon Bungalow is a great mix between a homestay and a hotel. While it’s on the pricier side of things for a homestay, the rooms are beautifully furnished, and the location is excellent. The hosts are also known for their friendliness and willingness to help with everything from booking a taxi to helping guests plan their excursions. And to add a little extra touch, a complimentary footbath is offered every evening so rest and relax your tired feet. One of the best places to stay when on a budget, Lotus Field Homestay offers guests an unforgettable experience. Stay here if you want to wake up in a bungalow in the middle of a lotus pond, surrounded by the fragrant pink blossoms of Vietnam’s national flower. This cozy homestay is ideal if you want to spend time with your hosts without breaking the bank. The hosts offer motorbikes for you to use to explore the area and of course they have great tips on things to see and places to visit. For an upscale experience, Tam Coc Garden Resort is a great option. The fancy rooms, elaborately decorated restaurants and breathtaking views of the countryside make this resort something truly unique. If you’re here for a special occasion, you might want to consider splurging on this place. Set between the city and Thung Nham Bird Park, you’ll feel like you’re miles from civilization although the city center is only a few kilometers away. And if you don’t want to head back to the city after a long day of exploring, you can chill out by the pool and enjoy the peace and stillness around you. While it’s a bit further away from most attractions than other hotels, the Emeralda Resort Ninh Binh is well worth the drive. This huge resort offers you large rooms, a beautiful restaurant and a spa complete with all kinds of relaxing treatments. For a unique and luxurious experience in Ninh Binh, this upscale resort is the way to go. Choose from individual bungalows and rooms and enjoy local specialties in the comfort of your room if you’re too tired to go back out for dinner. Located right in the heart of Ninh Binh, Hoa Lu ancient town is a significant historical site of Vietnam that you do not want to miss. Its story dates back to the tenth century, when our emperors were making leading changes to ancient Vietnam’s history. Isn’t it amazing that you can combine traveling to picturesque scenes of mountains and rivers with some history lessons? Onetrip has just launched its tour to Ninh Binh from Hanoi and it offers just that! You’ll be picked up at your hotel in Hanoi and first enjoy a symbolic northern Vietnamese breakfast to gain energy for a two-hour drive to Ninh Binh. This won’t be a sleepy ride because Onetrip tour guides will introduce our culture, the agricultural business in particular. Upon reaching Hoa Lu ancient town, you’ll discover what the age-old capital of Vietnam looks like after more than a thousand years. A history brief about this fort will also be given during the tour. That’s not all! You can also take tons of scenic photos because Hoa Lu town is surrounded by mountains and rivers. Check out the Onetrip website or drop a message on the Onetrip Facebook page for more information! While it’s the capital of the province, it’s actually a rather uninspiring town you can easily skip. Instead, spend more time in Tam Coc, Trang An and explore the backstreets winding through the rice fields. 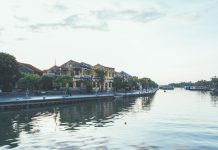 Staying in Ninh Binh directly might be a bit cheaper and feel more convenient because it’s close to the train station, but you’ll have to drive more to get to all the other places. Pro tip: if you’re heading to Ninh Binh province, stay in the countryside and get a real feel for rural life in Vietnam. You’ll have enough chances to spend time in big cities when you visit Hanoi or Ho Chi Minh City. Tran An is easily one of the most beautiful spots in Ninh Binh. It’s known for its lake and the eerie grottoes you can explore by boat. 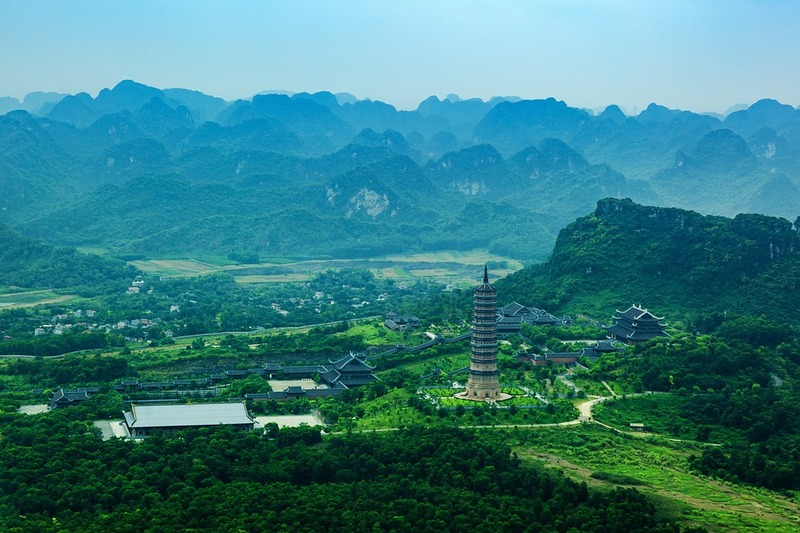 About 11 kilometers from Tam Coc, this place is reachable by motorbike or bicycle. To get here on the first try, put ‘Khu du lich sinh thái Tràng An’ in Google Maps to find the spot where you can meet rowers who will take you out on the lake and into the famous caverns. The rowers will charge you about 150,000 VND and they will take you through caves, to temples and around the grottoes for about an hour or two. Getting here early in the morning or late in the afternoon is the best way to avoid the crowds and have this unique spot almost to yourself. Only about 5 kilometers outside of Tam Coc, Thung Nham Bird Garden is a wonderful place to learn about local bird species. Come here early in the morning to see the trees full of all kinds of pretty exotic birds and enjoy their song as you explore the hiking trails. The best thing about this park is that not many people visit it, so you have a good chance of getting it all to yourself. If you really like it here, you can get a room in the nearby ecolodge, a simple yet modern place which offers complete relaxation in a unique environment. Whether in the middle of a bunch of rice fields, tucked away on a mountainside or perched on top of a hill, Ninh Binh is full of temples to discover. Hang Mua is probably the most impressive. 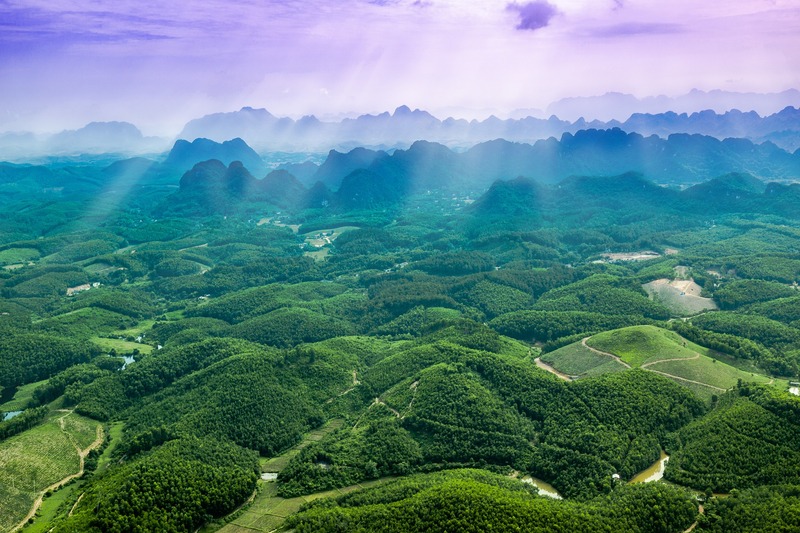 After you climb around 500 steep steps to reach it, you are rewarded with some amazing views of Tam Coc, rice fields, forests, and mountains. On the way up, you’ll likely meet some of the many goats who make Ninh Binh their home. Have your camera ready to catch their stunts as they jump from cliff to cliff! Hoa Lu Pagoda is also well worth a visit. 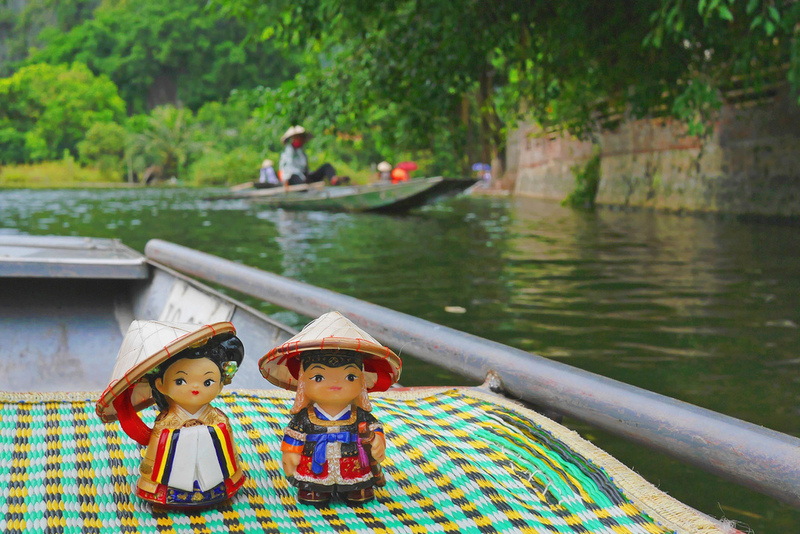 As the ancient capital of Vietnam, it’s a historically important place. Even though a lot of it was destroyed, you can still see remnants of its grandeur and get an idea of the beginnings of what we now know as Vietnam. Bich Dong Pagoda is a large complex of three temples carved into limestone at the foot of the mountain. It’s easier to get to than Hang Mua and is a nice spot to add to your itinerary as it doesn’t attract too many tourists. 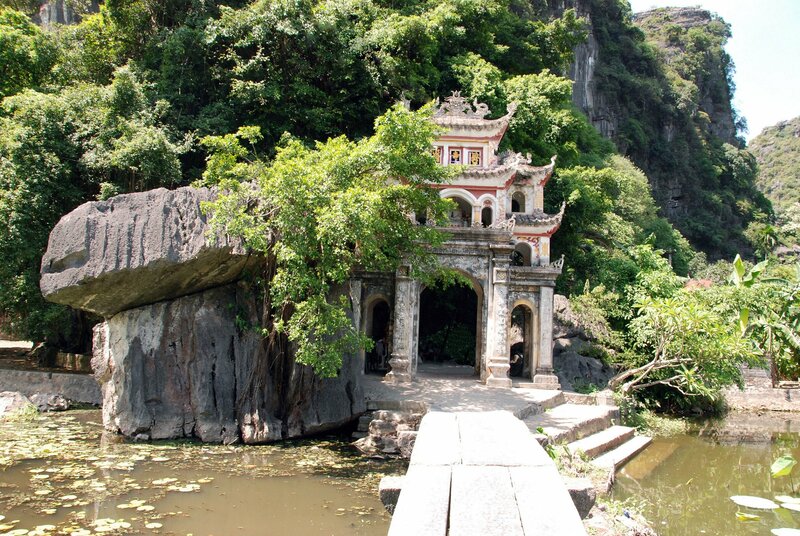 Of course, these are by far not all the temples and pagodas you can visit in Ninh Binh! Just by driving around or having a chat with your host, you’ll find out about many more. And if you’re out and about on your motorbike, you can stop at as many as you want! As mentioned, in Ninh Binh you need your own transportation. To make it easy to get to the main sights, rent a motorbike for a day to quickly cover the distance. On your second day, rent a bicycle to go around the small paths leading through rice fields of Tam Coc. This will give you the chance to enjoy their beauty and tranquility without the racket of a rattling engine. Set right on a small lake, Tam Coc is known for scenic boat tours which offer amazing views of the rice fields and nearby mountains as well as a tour of spectacular caves and grottoes. Since this place is very popular with tourists though, it has become the scene of many scams. To avoid issues, agree on a fee with the rower before setting out. Also, be sure to avoid hawkers trying to sell you food for the rower at the end of your tour. Usually, it’s overpriced, and they share the profits. If you don’t want to miss the amazing views but feel like skipping this boat tour, you can always hop on your bike and go around the lake. The scenery will be equally beautiful when seen from your motorbike. However, do not let those tourist traps affect your trip to this lovely cave cluster because Onetrip is here to help. The Onetrip Ninh Binh tour also includes an adventure to Tam Coc grottoes and the guides help you pick the most local experiences. 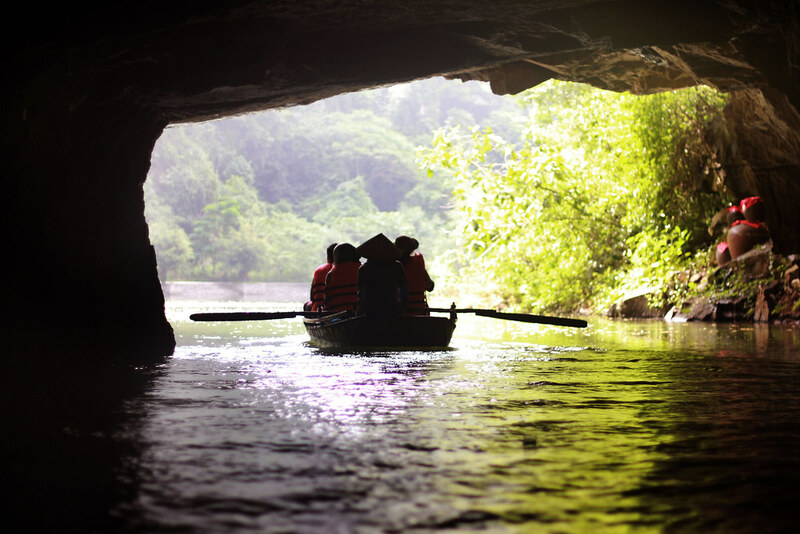 Boarding a traditional sampan to cruise through these mountain caves and floating paddy fields is local enough, right? The easiest part is, this is just a one-day tour and you’ll return to Hanoi at night within the day. Make sure to visit the Onetrip website or Facebook page for a detailed itinerary to find out what you can do after cruising through Tam Coc caves! If you want to avoid being hassled by hawkers but still want to enjoy an amazing boat tour, Van Long Nature Reserve is for you. While it’s a bit of a ride (close to 30 kilometers) from Tam Coc, it’s the perfect stop for nature lovers and bird watchers. Since it’s a protected site, many endangered species have taken refuge here, far from poachers and other predators. Get on the 90-minute boat tour of Van Long and take in the unique birdsong, the sights and smells of this wetland reserve. About 90 minutes from Tam Coc, Cuc Phuong National Park is well worth a visit if you want to get in some good hiking. It’s a bit of a trip but it’s well worth it. Set up in 1962, Cuc Phuong is Vietnam’s oldest national park and is home to many endangered species of birds and monkeys. Take your time to explore the botanical garden, find ancient trees on hidden trails and learn about local primates in the rescue center. If you enjoy driving around on your motorbike, go for a ride to Phat Diem Cathedral. Set close to the Gulf of Tonkin, it is known as the first place where Catholicism came to Vietnam. The cathedral was built over a span of 24 years and combines Western and Vietnamese elements. Here’s a fun fact about it: the entire building was constructed using only wood and stone! 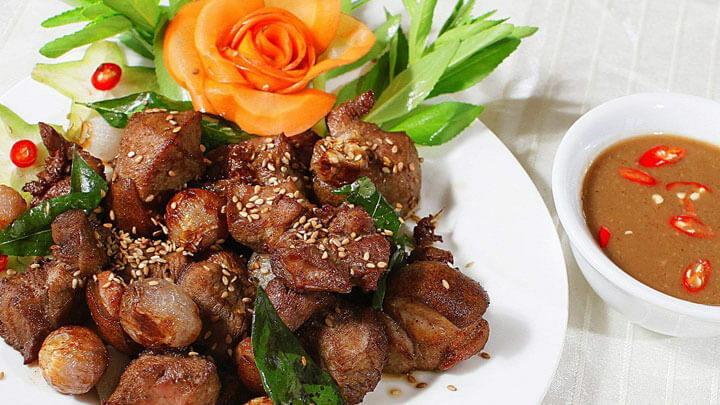 While staying in Ninh Binh, you will find a few unusual dishes to try. The most famous one is ‘De Nui’, a meal made with mountain goat. Most local eateries will offer this or a variation of it, so keep a lookout for signs with ‘de’ (goat) if you want to try it. Crispy rice (com chay) is also popular in this region and should land on your plate at least once while you’re here. Restaurants around Ninh Binh offer delicious simple fare, making this a perfect place to try some of northern Vietnam’s signature dishes. Most shops close down around 8 PM though, so get out for dinner early to avoid going to bed hungry. If you’re at a homestay, it’s likely your host will prepare dinner for you. Having homecooked food is a great way to get to know local cuisine, so do take them up on this offer. Let them know beforehand if you have any allergies, don’t like something or if you don’t eat meat for example. That way you’ll be able to fully enjoy your dinner, avoid awkward moments of refusing food they prepared for you and have a great experience of sharing a meal with your hosts. Ninh Binh is the ideal place to explore rural Vietnam, see famous historical and religious landmarks and spend quality time in nature. If you’re looking for a break from the big cities or want to ditch the crowds of tourists who seem to be waiting for you everywhere else, Ninh Binh is the perfect spot for you!